PREDICTION: ZEN WILL BE THE BIGGEST AND MOST SUCCESSFUL PRODUCT IN JEUNESSE! Why? Because of the worldwide Obesity Epidemic. 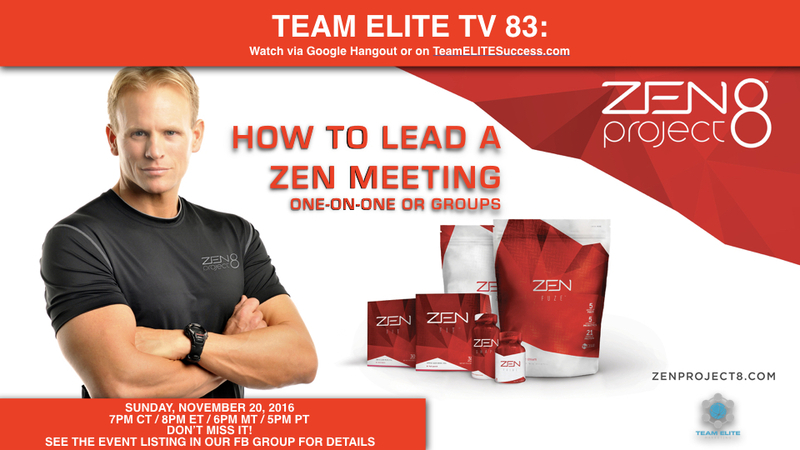 Learn how you can successfully share Zen with people -- either one on one or in groups on tonight's episode of Team ELITE TV.